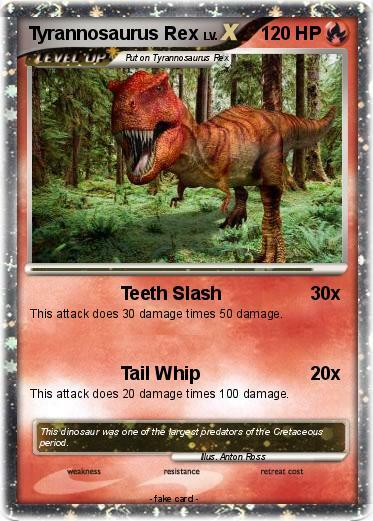 This attack does 30 damage times 50 damage. This attack does 20 damage times 100 damage. Comments : This dinosaur was one of the largest predators of the Cretaceous period.